A little something that I am working on. Recycled curtain lining dyed and stamped with wooden print blocks (from Colouricious). 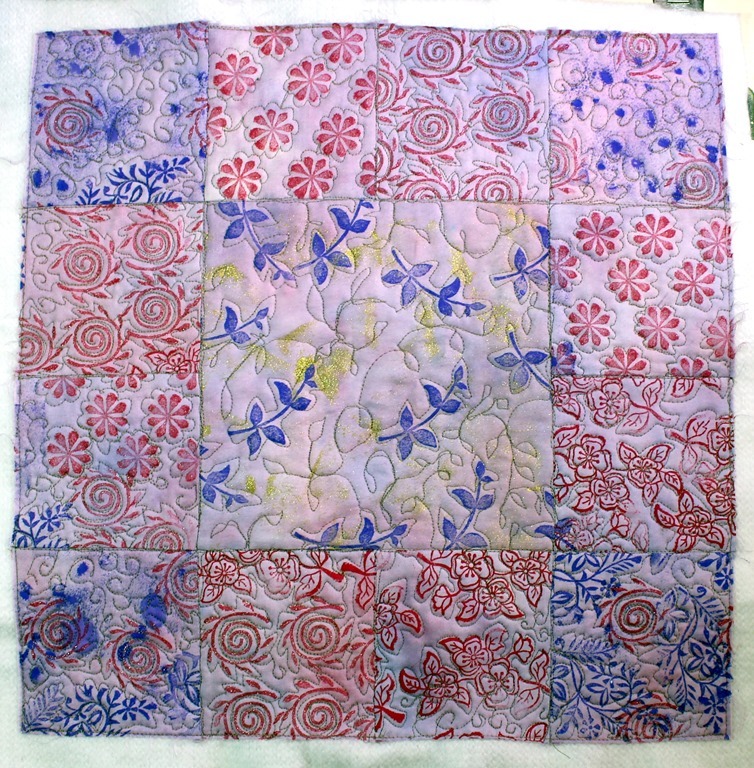 Patchwork and quilting done (with recycled curtain interlining), now to stitch into a cushion and a bag and embellish further. The theme for this weeks Simon Says Stamp Challenge (Wed) is ‘anything goes’ so I have entered the cushion front. This entry was posted in Bag Making, fabric painting, Recycling, Stamping, Textile Art and tagged Bag, Block Printing, Colouricious, Cushion, Patchwork Quilt by annewaller. Bookmark the permalink.